The beginning of the year is always a good time to establish new goals that improve our lives in spiritual, physical and emotional areas. 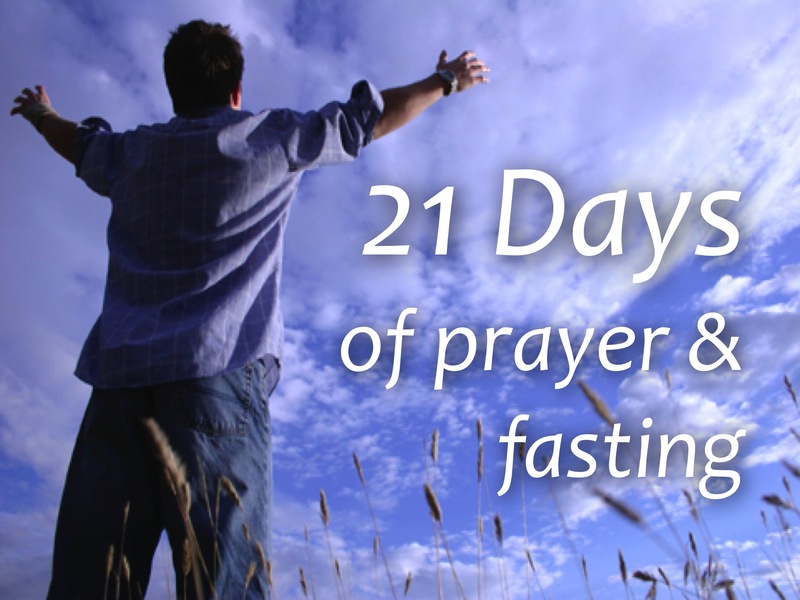 Every year at New Day Church we renew our commitments with God and loved ones with a 21-day fast that helps us refocus our purposes. Like Daniel and his friends fasted asking God for help and direction, we fast to dedicate our efforts to reach our goals this new year. This type of fast eliminates not so healthy foods and other delicacies and permits only what is necessary to nourish our bodies and sustain them properly. a revival that results in the salvation of family members & friends. us to become a model church. Legumes: All kinds – beans (not refried), lentils, garbanzo, lima beans, etc. Grains, nuts, and seeds: Oatmeal, nuts, peanuts, almonds, sunflower seeds, brown rice, soy products, etc. Drinks: natural water, 100% natural fruit or vegetable juice. Condiments for cooking: salt, pepper, replace all salad dressings with olive oil and balsamic vinegar or lemon juice. NO kind of Meats: beef, pork, fish, chicken, seafood, etc. NO Flour and everything cooked with it. NO Foods cooked in fat, butter or margarine (only use a little Olive Oil). NO Milk, Soda or Coffee. NOTE: Only eat nuts that do not contain sugar, honey or other condiments nor permitted.